The Southern African Macadamia Growers’ Association has conducted a round of data collection from approximately 80% of the registered handlers representing approximately 95% of the macadamia industry’s total production volume. The updated forecast is 41 430 tons of nut-in shell (1.5% kernel moisture content), which is slightly lower than the previous forecast of 42 000 tons. It is suspected that many new plantings will come into production for the first time, resulting in a slight increase in production from 2016. 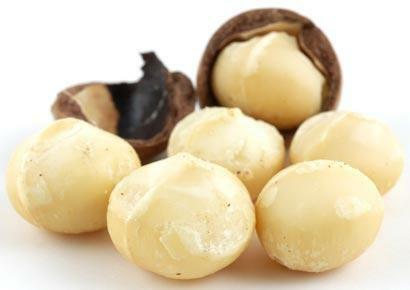 The macadamia industry is still suffering the effects of a severe drought that lead to a crop of 38 000 tons in 2016, compared to 46 000 tons that were produced in 2015. Mpumalanga remains the largest production region with 51% of the forecasted volumes predicted to come from this province, followed by Limpopo (26%) and KwaZulu-Natal (21%). The remaining 3% of the crop is expected to come from other regions such as the Eastern and Western Cape Provinces. An updated forecast will be done during June 2017. New data has also been received from macadamia nurseries on their 2016 tree sales volumes. The new data, received from approximately 90% of the nurseries and representing approximately 95% of the industry, shows that 1 132 110 macadamia trees were sold in South Africa during 2016. This is the equivalent of 3 538 hectares at a planting density of 320 trees per hectare. ‘Beaumont’ remains the most-widely planted cultivar, comprising 49% of the total sales, followed by A4 (22%) and 816 (16%). Mpumalanga remains the province with the most new plantings, absorbing 49% of the total trees produced, followed by KwaZulu-Natal (33%), Limpopo Province (10%), Western Cape (3%) and other destinations (5%). In 2016 it was reported that more than 70% of trees were sold in Mpumalanga during 2015. It is evident that the growth in new plantings in KwaZulu-Natal is on the increase and it is suspected that this will be the future.